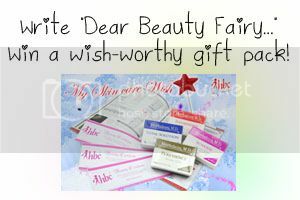 I am no perfect person so I have my share of beauty wishes like perfect skin (poreless, smooth, clear, blemish-free! ), and perfect hair (bouncing with life, soft, silky, strong); but today's not about what I am wishing for. Today's about what YOU want. Diamon Peel treatments anyone? Read more after the jump! A beauty secret that's not much of a secret (I tell everyone this! ): I only use virgin coconut oil for my whole body: hair, face, undereyes, arms, torso, legs, feet. Besides saving so much money, I now have the best skin I've had in years. My beauty secret since HS is I use the cucumber juice for my toner and it really tighten my pores. i follow the korean skin care regimen. When I am super stress after work. I sometimes damp a soft cloth with warm water and chamomile oil. And then put it on my face. This relaxes my face and opens my pores. While the chamomile oil aids as a aromatherapy for total relaxation. I can even sometimes doze off. You can also try cold weather. Either which its relaxing with the chamomile oil. * An interesting way to get rid of that yellow tint on your teeth is to rub a mixture of grounded dried orange peel, grounded bay leaf, and a little water onto your teeth.